Judges have enormous power. They determine whom we can marry, whether we can own firearms, whether the government can mandate that we buy certain products, and how we define “personhood.” But who gets to occupy these powerful positions? Up until now, there has been little systematic study of what type of judges get confirmed. More Guns, Less Crime and Freedomnomics. 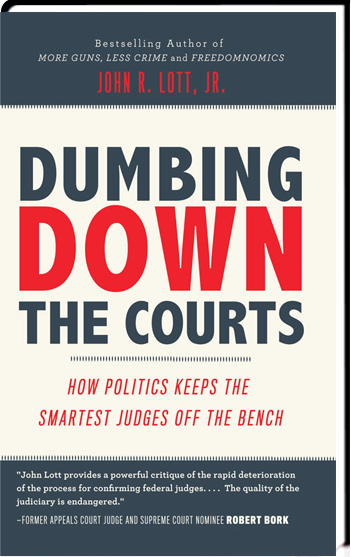 Get your copy of Dumbing Down the Courts at Amazon, BN.com or directly from John.